Minnie was more than a little peeved when Disney took her name and turned it into a mouse. What made matters worse was that Minnie McDonald ran a fancy dress shop. People would come in and ask if she had a mouse costume. “Blow it,” thought Minnie, and she sewed a Minnie Mouse costume. It became the most popular item hired out. Minnie got a letter from the Walt Disney Company. It has come to our attention that you are hiring out a Minnie Mouse costume. This is in breach of copyright, and you have seven days to destroy the costume. Minnie was devastated. They took my name, and now they want my livelihood. She shut shop and opened up a food place. Minnie McDonald’s Takeaways was very popular. A few years later she got a letter from a big food company. All this was long ago. 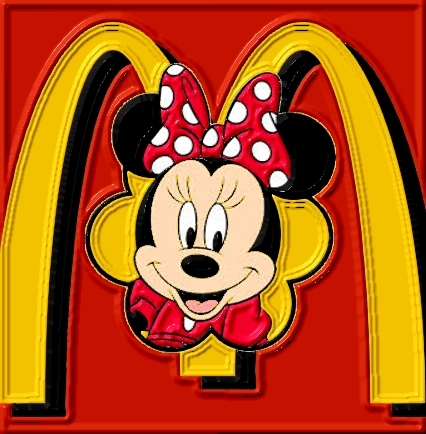 Minnie McDonald’s dead now.